When it comes to chronic pain, the most common form is a headache. When you have so much to do and your head is killing you, you just want it to stop. The pain from headaches can range from bearable to literally head-splitting pain like that of a migraine. You won’t be able to do much or even hold a conversation when your head is pounding. You’d definitely want to get rid of your headache right away. 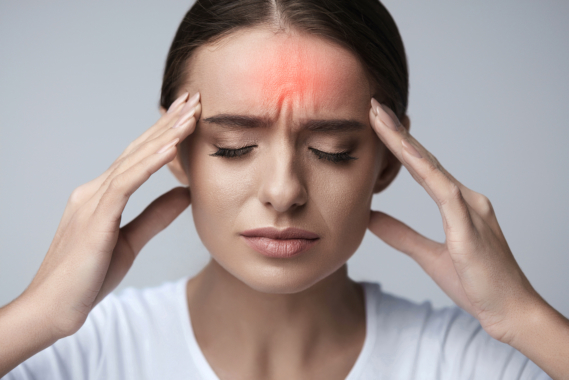 It’s important to acquire the facts about effective treatment for headaches, including medication, coping tips, and even surgical procedures. Advanced Spine and Knee Hospital, a well-respected pain management center in Hyderabad, Telangana, can help you with all these and more. Over-the-counter medications. The nearby pharmacy might just about do the trick to helping you find relief from minor to moderate headaches. You can simply ask a family member to get you an ibuprofen or aspirin if you don’t already have them in stock. However, being prone to bouts of headaches means you need to be prepared at all times with the right medication. Especially for recurring headaches, it’s important to go see your doctors who can prescribe safe and effective medication. Getting some rest. Rest is absolutely vital when you’re plagued with a constant pounding in your head. You need to rest your mind and your body from the incessant pummeling, preferably after taking an over-the-counter drug for headache relief. Don’t risk the chance of staying awake and putting yourself in stressful situations. Research on coping tips. There are plenty of tips that will help you cope with headaches. This way, you wouldn’t really need to take as much medication for pain relief as the pain would already be partially alleviated. One tip, for example, would be to rub your temples to soothe a headache and improve the blood flow. Watch what you put into your body. Experts believe that limiting alcohol and caffeine and avoiding cigarettes would be ideal as these substances could make your headache even worse. It’s especially important to eat even when your head is pounding, especially when it’s still your first meal of the day. Headaches can keep you from accomplishing a ton of daily activities and temporarily put things on hold, but knowing the most effective ways to give yourself quick relief from them can help you go back to your normal routines faster. Also, for cases like migraines, you may want to keep in mind that the aforementioned tips may not be enough. You may need to seek help from establishments like Advanced Spine and Knee Hospital, a facility renowned for quality chronic pain treatment in Telangana. This entry was posted in Headache and tagged Get Rest, Medications, Pain Relief Tips. Bookmark the permalink.